Peer to Peer lending giant Lending Club is one of two major American P2Ps that borrowers have to choose from when seeking out fast-approved loans with reasonable interest rates, outside of traditional bank lending. Peer-to-Peer lending is a novel lending format, pairing people-with-money to people-who-need-to-borrow-money. By cutting out banks and their shareholders, users with good credit scores can get a personal loan to pay off credit cards, start a business, make a home improvement, or just about anything else you can think of. Lending Club and Prosper are the most well known peer to peer giants in America. So why would a customer choose Lending Club? 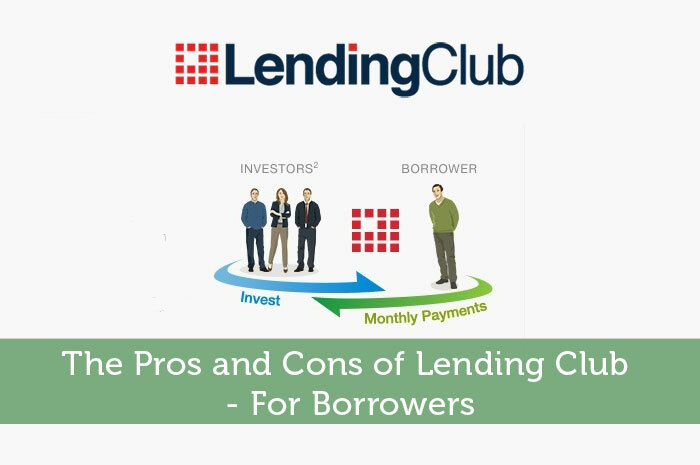 Here are some of the Pros and Cons that real borrowers report after experience with Lending Club. Clarity: Lending Club’s terms are so clear, and their pattern of service so well established, that users can know what their experience will be before they even sign up. The exact dollar figure you’ll pay for the amount of loan you that received, across your 36 or 60 month term, will be listed to the cent before you ever commit to the loan. Other companies have hidden fees like prepayment penalties, but prepayment is free with Lending Club. All the information you need is easily accessible on their website. Speed and Reliability of Loan Financing: You can apply online and receive a pre-approved offer in minutes. That’s one point of difference between Lending Club and its major competitor, whose investors are not always willing to fully supply a loan (which is then rejected, though resubmission is allowed). For most users of the Lending Club system, finances are usually funded in less than 10 days. The site has some of the highest security provisions made available to borrowers on financial platforms, so users can be sure that these transactions will be safe. Affordable. Lending Club’s possible interest rate/APRs are somewhat lower than their competitor’s: From about 6% to about 30%. Users with pristine credit can enjoy extremely low APR levels, but even users with slightly lower credit scores can still find affordable money through this method, comparable to the APR of very affordable credit cards. As mentioned above, payments will be communicated in great detail before you ever commit to a loan, and there are no hidden fees or other costs. Availability Nationwide. Peer to peer lending companies must be approved at the state level, so Lending Club is not available in every state. But it is available in many more states than is its major competitor, making it the most accessible P2P borrowing option for Americans. Depending on how you look at these, most Lending Club cons can actually be benefits. It’s a company with high standards against default, so some users with poor credit history may experience inconvenience during application or be denied altogether. Still, this makes the service better for more qualified users. Application Requirements. Some users may be required to supply copies of tax documentation. This is a common requirement in this industry, but some users find it inconvenient. Lending Club Works Hard Against Default. If you miss a payment, Lending Club is quick to call you by phone. If the payment problem persists, you will probably find your account passed onto collections. Again, this is all in an effort to make default an infrequent occurrence, because Lending Club also has users who are investors! They have to strike a balance between service to both customer bases. As you can see, there are more reasons to use Lending Club than there are to go somewhere else. But there are some specific decisions you can make to give yourself a greater chance of success with Lending Club, as well as cut down on the price you’ll pay for your loan. Don’t Shop Around for Credit. Every time a potential creditor accesses your credit report, this shows the credit reporting agencies that you are in need of money and potentially vulnerable from a financial perspective. Your credit score, in turn, will go down. This lower score will increase the cost of money that you go on to borrow, or even make you inaccessible for a loan at all! Research companies without requesting lots of specific quotes, and only go with the one you’re sure will give you the best value and service. Choose the Shorter Loan Term. Because you are more likely to default on a 60 month loan than a 36 month term, the shorter term loan is more affordable. If you can afford it, choose the shorter loan to save money over the lifespan of this agreement. In the end, Lending Club is one of the cheapest ways for qualified borrowers to get money, and certainly the fastest. With loans going out from $2000 to $35,000, this is a financial solution for all kinds of purposes. Check out Lending Club today and get the money you need for your life.